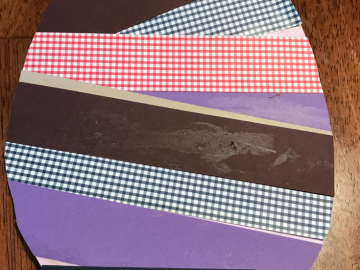 Welcome to the April Pinterest Challenge Blog Hop! The purpose of this hop is to motivate us to not just hoard pins, but to make it happen! 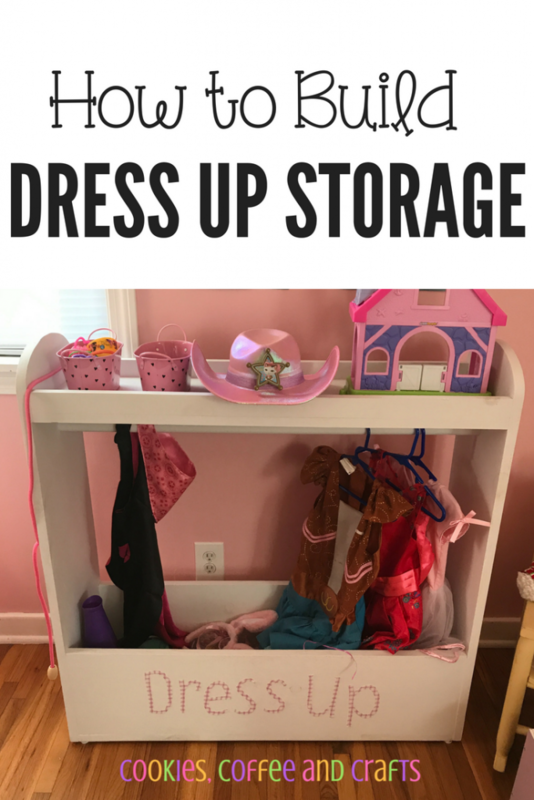 So this month, I chose to make a Dress Up Storage from Ana White. Our house is full of toys and we are always trying to come up with ways to keep the mess (I mean the toys) organized. 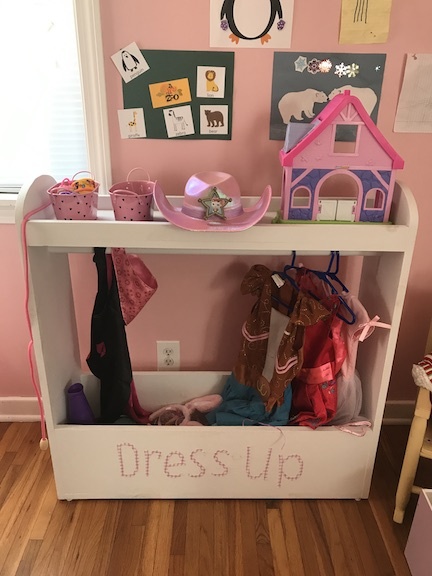 My daughter is starting to get into dress up and needed an area to put her dresses, cowgirl hat, and accessories. In our house we are the opposite of the popular commercial, everyday is cowgirl day in our house. I did very little of this project, just painting and decorating. 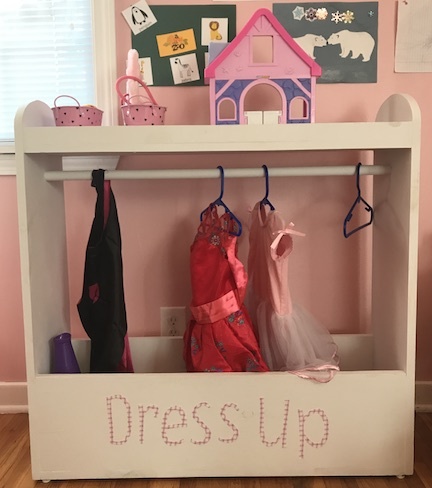 My husband did all the building, measuring, sanding, puttying, drilling, sawing, and anything else it took to make this adorable dress up storage. I gave moral support. To be honest this is my husbands first building project in a long time. He said in college he had made a fish tank stand. So he says “any idiot with a hammer can do it.” We decided that would be a great blog name. 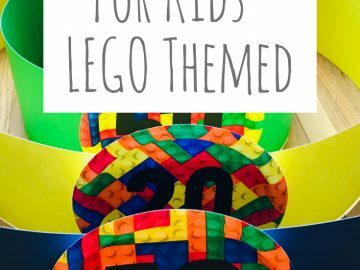 We did a few things differently on our Dress Up Storage. Instead of wheels on the bottom, we put on the heavy duty felt pads because we didn’t want the kids trying to roll the dress up storage around the house and we added a shelf on top for storage. 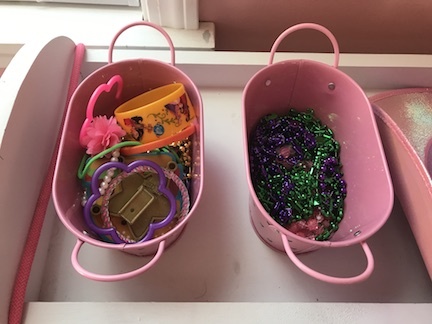 On the top shelf I used small storage containers for rings, bracelets, and necklace. Then in the bottom of the the dress up storage goes all the accessories and bags. From the scepter to her pom poms, the bottom bin works out perfectly. I love this part because it can be messy and no one can see it. As I was taking pictures my daughter came in and wanted to play dress up. 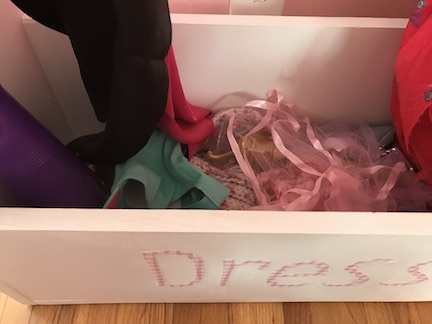 To decorate the dress up storage, I painted it with white chalk paint. 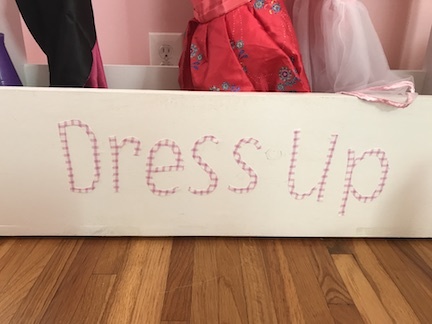 Then I added fabric letters that I cut on my Cricut Maker to spell Dress Up on the front. The fabric I used is the same fabric in her room decor. My daughter really likes it and enjoys playing dress up. Honestly it only looks neat and pretty like the post when I go in and clean it up. It was the perfect addition to her bedroom!